Religious fasts are very common. Coming up with various reasons to avoid regular meals and bring the focus over to taking care of oneself is the whole idea. The rules and regulations of many such fasts call for lighter eats or abstinence from food. For instance, fruits are the most preferred ones during fast. Think about it, yes it is quick and zero fuss option. Caters to detox elements, light on the stomach are fruit fasts. Health perspective fasts are the ones that attract me more than religious fast. Nevertheless, I am not a regular fast to lose weight kind of person. I would rather prefer,6 small meals with lighter choices. One of the easy Indian inspired ones that love to pack up and feast on a fast is a fruit-based chaat. A mixture of fruits, a tiny bit of tang from the chaat masala (omit if you are doing a religious fast) and the minerals from crushed black salt I love it. While visiting India, I grabbed these red and juicy guavas and literally hogged on them. When that was getting a bit boring for the kids, I introduced the amrood anar chaat and they got back on it right away. 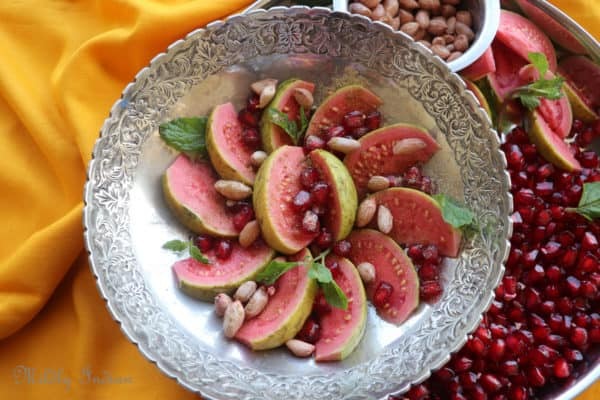 So here is the simple and easy guava pomegranate salad with Indian spices. 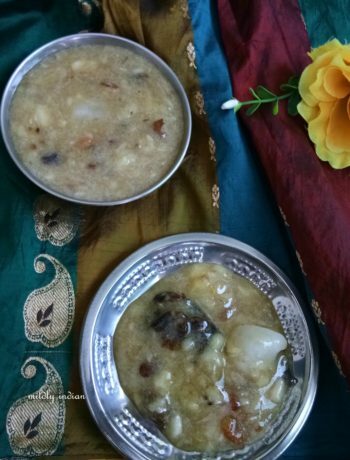 The recipe works well with white regular guava also and sits perfectly well in the lunch box. Throw in a base of baby spinach, a handful of pepitas when you are trying to make this a whole lunch rather than a side. But all said and done, you can’t get over the lovely hues of reds when you have this chaat. So enjoy the recipe and tag me when you make your twists and turns. Do subscribe to get updates from us, we promise not to flood your email inbox. Now scroll down for the recipe, see you soon. Yes Freda I went berserk when I saw them after a long time too. This is the fag end of them… but so yumm. Such a lovely combination of guava and pomegranate, not only a feast for the eyes but for the tummy too. Lovely clicks. Thanks Mayuri di. It was a beutiful combo of reds, with bowls from my MIL’s collection. 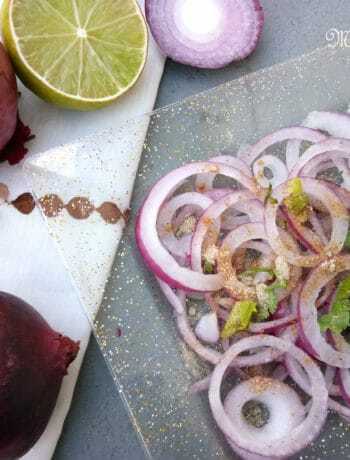 That’s true it is a true delight to have the chilli powder and salt sprinkled guavas. this recipes surely carry those flavours too. What a colorful platter!!! I m always looking for these pink colored guavas!!! I dont why i never find them!!! Look at them, paired with pomos, they looks spectacular!!! You took me back to my childhood days, when mom made guava and banana chaat with different fruits.. I miss guava so badly here, though I have seen some in stores but nothing like we get in India. The chaat looks so tempting with pretty colors!! I totally loved the banana chaat as well and usually make it with arbi as well. 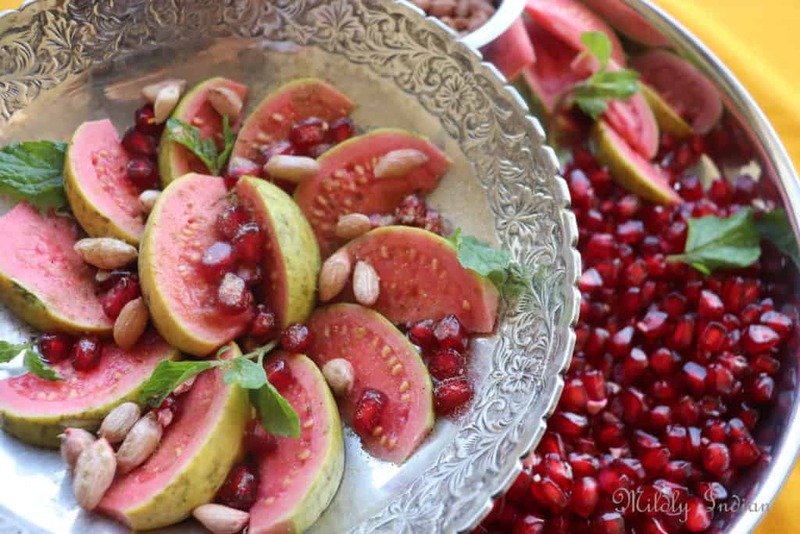 I liked guava with pomegranate, they were such a delight. I hardly get Indian ones too, but surely grab them when I see.